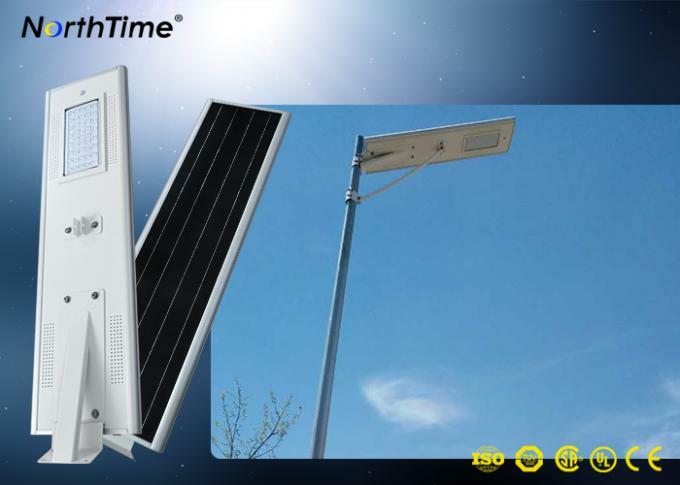 Our integrated All-in-one 100% solar energy powered Solar Street LED Lamp which integrates the green-energy parts solar panel, Bridgelux LED chips, LiFePO4 (lithium iron phosphate) battery, intelligent control system, infrared motion sensor and light sensor , etc. into one aluminum alloy housing. 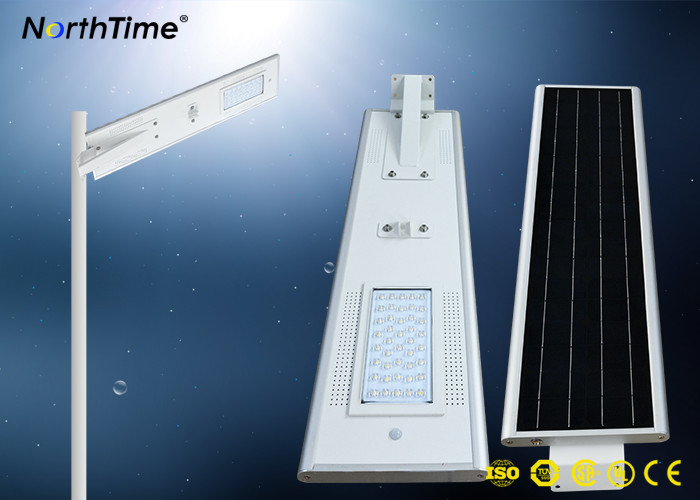 Long lifespan, high-luminance, energy saving and maintenance free. Quite easy to install it and no cable needed. This lamp is much brighter compared with normal sodium light. What’s more, it's convenient for transportation and high safety. Installation angle adjustable and available for different road. 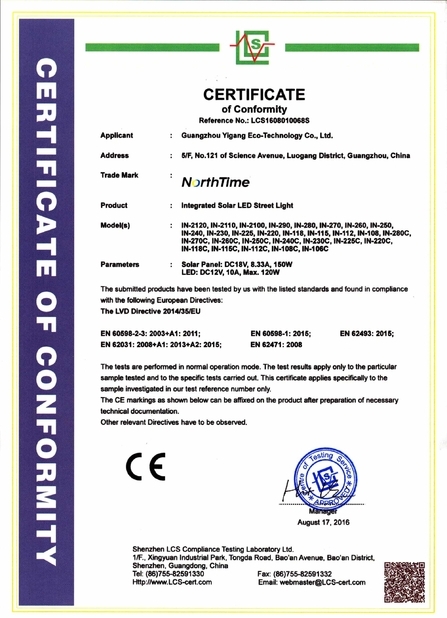 High transmittance of optical glass, no dark area on the road. Digital intelligent MPPT control systems, non-electrolytic capacitor design, the lifespan up to 10 years. We use the lithium iron phosphate battery which is environmentally friendly. It is inside the product to avoid being stolen. Its lifespan is more than 5 years. · Long discharge time: over 15 hours with full power, over 30 hours with half power, can last 7 rainy or cloudy day. 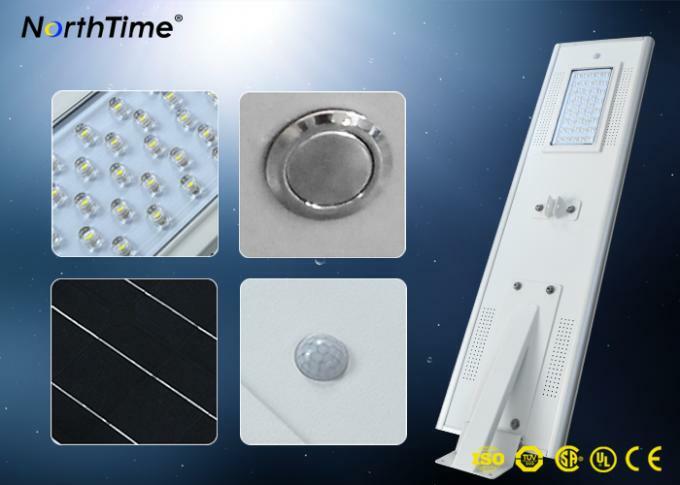 · Low power consumption: super bright Bridgelux LED save more than 75% than the traditional lamp. · Green and environment-friendly: No light pollution, no IR, no UV, no-mercury, no fragile glass, no environment-harmful materials. To be installed in the garden, residential area, courtyard, road, mine area, Parking area or provide the light in roads where it's necessary, the battery provide the energy for lighting, and the solar panel charge for the battery. 1. Payment Terms: T/T, LC, Western Union. 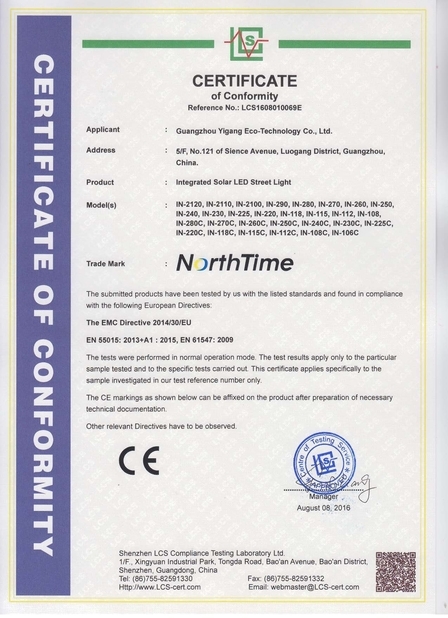 Samples Lead Time: 3~7 days . 4. Discounts: We offer discounts to big quantity orders. It's renewable energy, environmental friendly and make our world better. Set the lights under sun shine, charged by the sunshine during the daytime and stored the power in batteries for lighting in nightime. Easy install, security, no cost on energy, long lifespan. Fix the product with a right angle and make sure no shelter on the surface of solar panel. What to do with the rainy day or cloudy day? The outdoor solar light is waterproof. You don't need to worry about it. After fully charged, the capacity of battery can keep the LED working in several rainy or cloudy days. Why the charging efficiency is low in winter or cloudy day? Generally the sunlight standard is 1000kw/m2. In the winter or cloudy day, the sunlight intensity are much lower than standard so the charging efficiency is lower accordingly.